Why I love those fox body mustangs. You can stuff 4x8 signs in the back, throw in some fence posts, and you're good to go! We drove to Florence this evening (200 miles round trip) to help work the GOTV effort on the phones for Rand Paul. Congradulations! You won handily in lewis county. The news says Greyson conceded with rand having a 60+% win and your margin was pretty impressive also. Hip Hip, Hooray! Congrats Thomas! Took some digging on the net to find the results, but wow, you trounced 'em. Just make sure you have a Beetle/Commander on your desk instead of a judges gavel! Thank you! Trying to recover from the campaign. I didn't realize how much work there would be in the few days after winning. Thomas, I've been trying to get in contact with you by email but the addy I have doesn't work anymore. My wife and I came to see you back in October, 2007. Could you email me at fouryen at gmail dot com? Thanks. Hope your summer finds you and your family happy, healthy and COOL! Been hotter than Blue blazes here in Louisville. 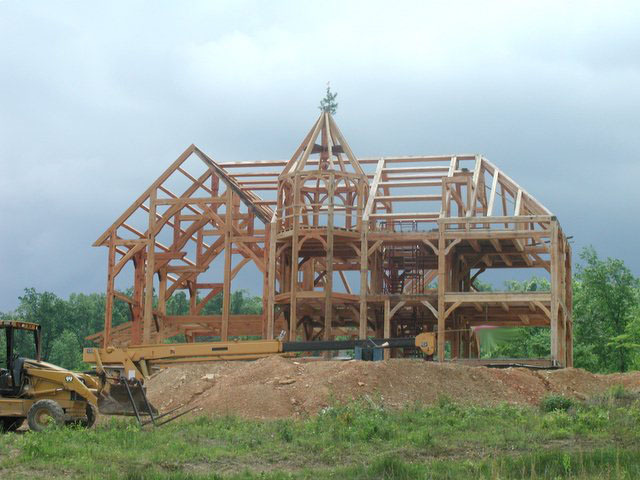 I need a recommendation/help/info on getting my timber frame "plans" approved! I don't mind "jumping through "Hoops, it's just that there really narrow and high here in the BIG CITY! Seems, if I don't build something that's in their IRC book, it has to be "stamped-off" by a professional! Anyway, I know your busy, so when/if you get a chance. wondering if you will rescind the 7% insurance tax in Lewis County? I find it completely egregious since car insurance is mandatory in Kentucky and I already have to pay for non-insured motorists who not only do NOT pay insurance, they don't even have to pay the tax and when they get caught, their fine is cut in half if they buy insurance. That is just not fair at all.